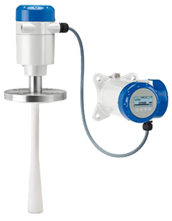 Bliss Anand brings you two models of Radar Transmitters - The BlissFlex 2200 and the BlissWave 5200. Accuracy +/- 0.12". Measurement range up to 130 feet. Output 4-20 mA HART / FF / Profibus PA.. Explosion-proof and intrinsically safe. Enclosure rating to NEMA 4X. SIL2. CRN approval. Meets high pressure high temperature requirements. High accuracy and repeatability. Measurement range up to 98 feet. Output 4-20 mA HART / FF / Profibus PA. Explosion-proof and intrinsically safe. Enclosure rating to NEMA 4X. CRN approval. Meets high pressure high temperature requirements.